This is pretty much the view from the back garden. 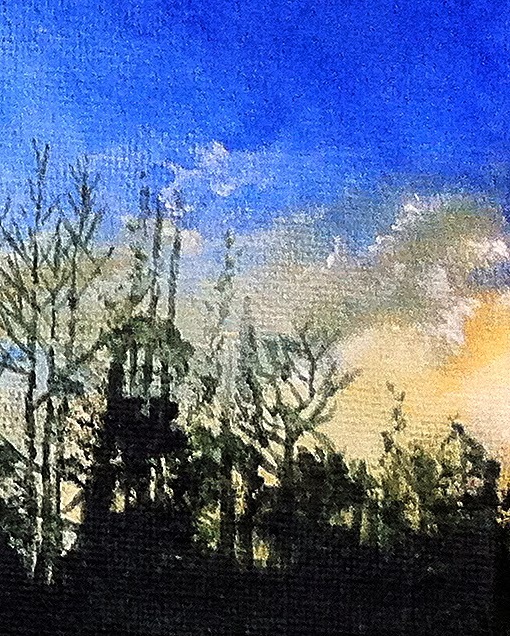 Its painted in acrylics on stretched canvas sized at 30 x 10 cm. The sky is painted in Cobalt blue, Naples yellow and Process yellow and this gives the range and depth of hues. 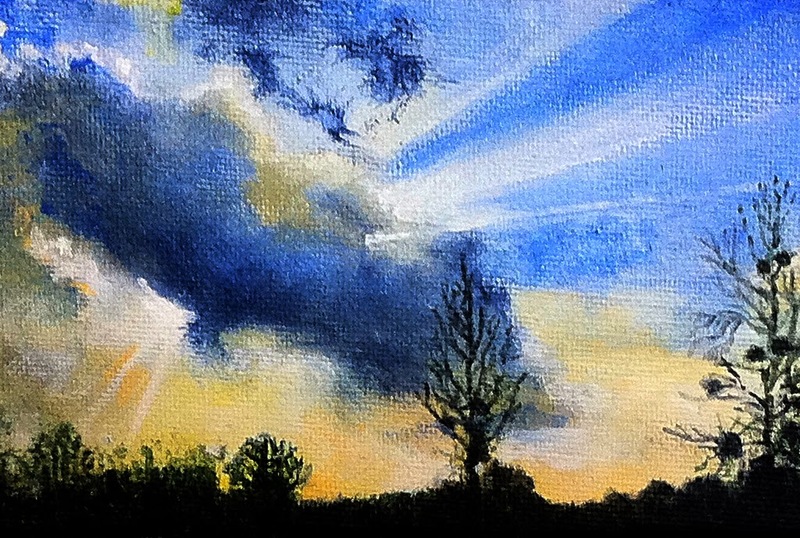 The sky was worked in quickly using dry brushes and blended together. Light Switch Landscapes' are small landscapes usually about the size of a standard light switch. I came up with the name because of my habit of nailing paintings to the nearest wall while I'm painting them. (Please note: I am aware of the electricity cabling in my home).